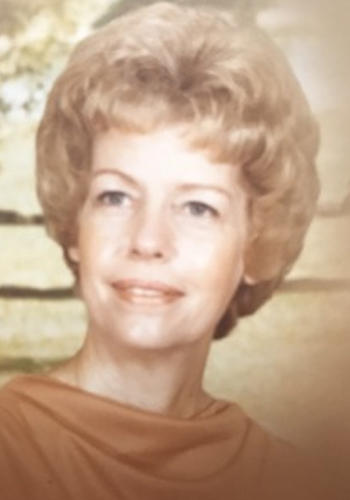 Eloise Reising, 87, was a long-time resident of Boonville and Evansville. She passed away October 23, 2017. She was born January 19, 1930. Eloise was an avid cook, seamstress, bowler, and gardener. She loved flowers, especially roses; as well as hummingbirds. During quiet times, she listened to music, especially gospel songs. She and John loved to dance. Eloise enjoyed conversing with and helping people. Her beautiful smile, kind words, love, and strong faith made the world a better place. Eloise is survived by daughters Karen Byroad and Sharon Goldberg; grandchildren Jaida Goldberg and Kelsey (Geoff) Carlson, and twin great-grandchildren Hunter Levi and Rhen Mabel Carlson; brother Glen Bell; sister Wanda Wire; and long-time dear friend Lois Gregson. Eloise is also survived by four stepsons Rick, David, Johnny, and Rusty Reising. There are many Reising grandchildren and great-grandchildren. Eloise is preceeded in death by her parents Deede and Franklin Bell, five brothers, and husband John L. Reising, Jr. The family will accept friends at Sunset Funeral Home Friday, October 27, 2017, at 11:00 a.m. with service to follow at 12:00 p.m. in the chapel at the funeral home. Funeral Service: Friday, October 27, 2017 at 12 p.m.
Friday, October 27, 2017, Visitation at 11:00 a.m. with service to follow at 12:00 p.m.